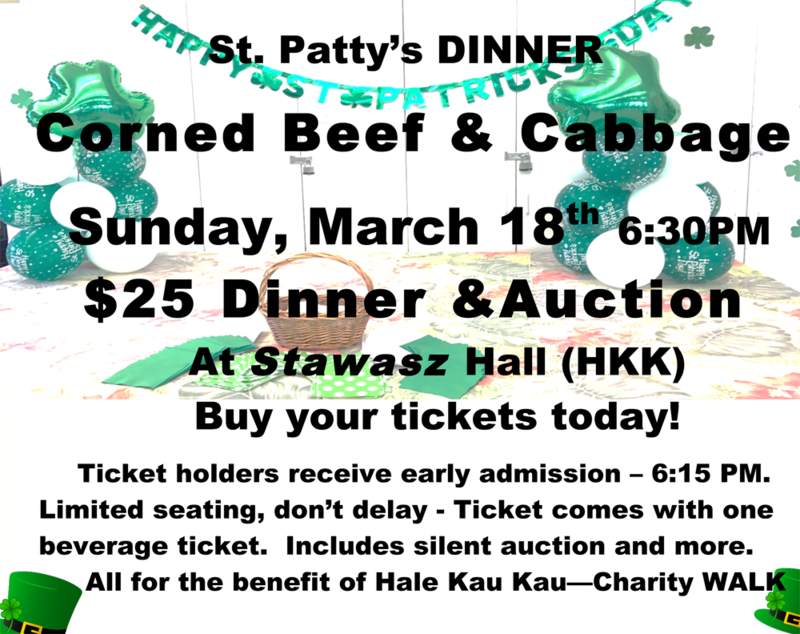 Join us for our annual St. Patrick's Day Dinner & Auction all for the benefit of Hale Kau Kau! Menu: Corned Beef and Cabbage of course! Tickets for the dinner and auction are $25 each (includes one beverage ticket). We have limited seating so don't delay in getting your tickets! We will have silet auction items and more.